We will light a nine-day candle for you and your personal intentions. We will send you a special glass holy water bottle, filled with blessed Grotto water. We will send you a custom National Shrine Grotto pearl rosary and booklet. We will send you a lifelike National Shrine Grotto Pangborn Campanile 8" statue. 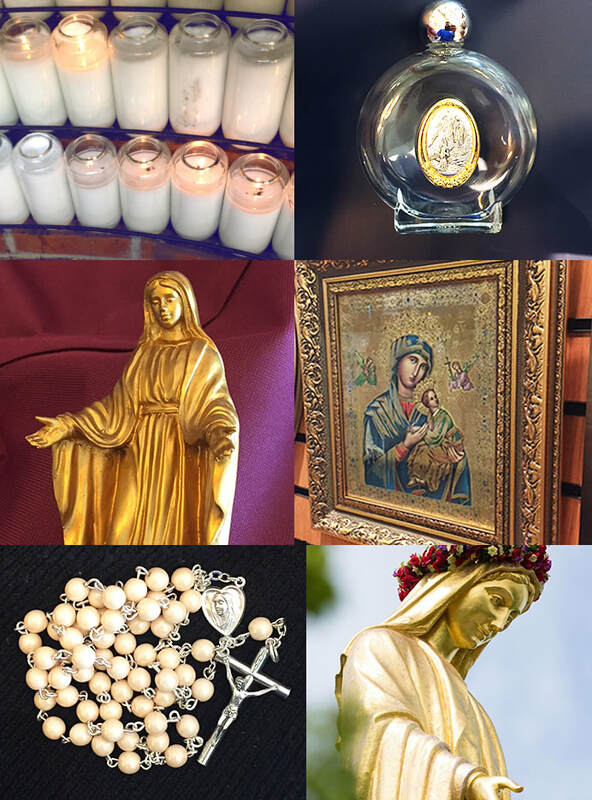 We will send you a beautiful, fine Italian art image of our Blessed Mother Mary.